The High Point Rockers unveiled the visiting clubhouse, done up completely pink, on Monday, April 8th 2019. The visiting clubhouse is covered in pink as a way to not only give the Rockers a home-field advantage, but to also serve as the team's "base of operation" in the continuing fight against breast cancer. 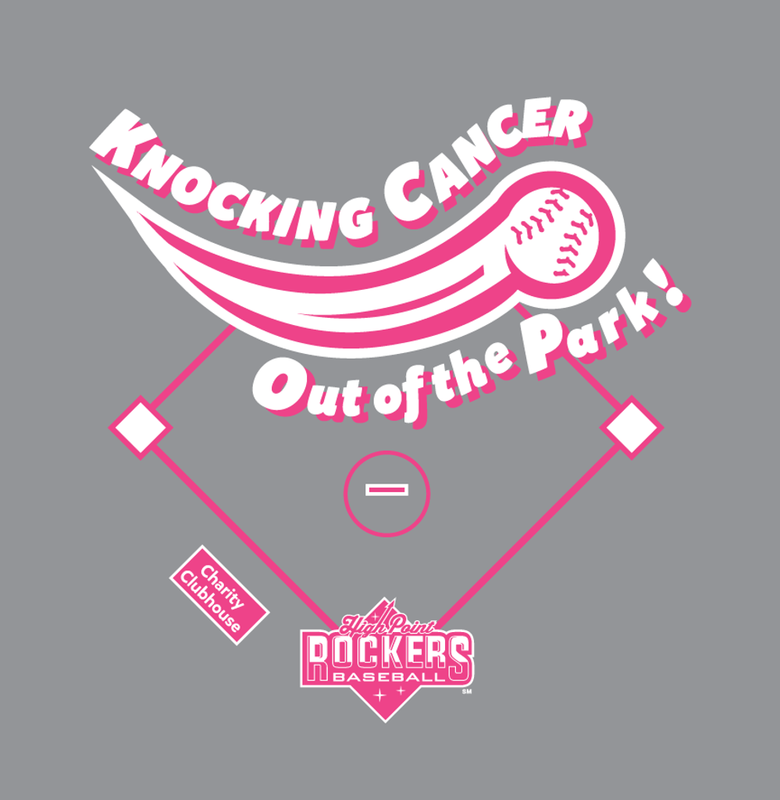 Help Knock Cancer Out of the Park! 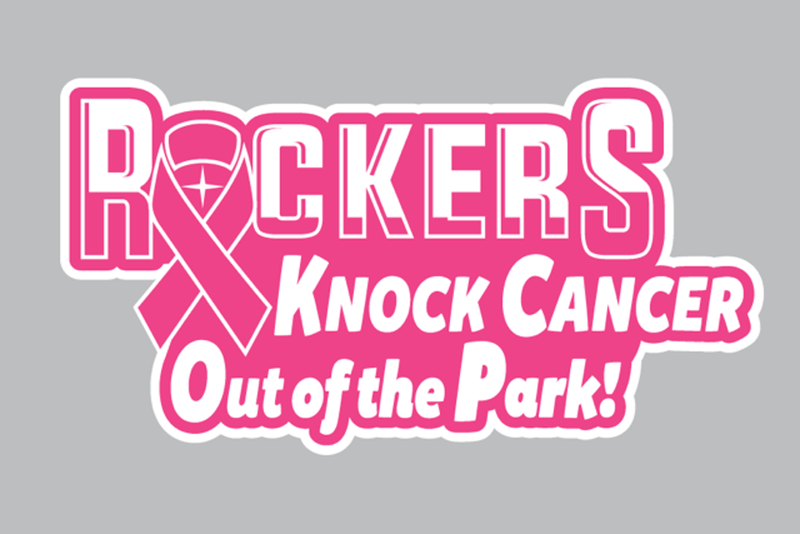 As part of the initiative to raise funds for breast cancer research, the Rockers developed special "Rockers for Knockers" t-shirts that fans can purchase for just $20. Proceeds from the sales of these shirts will go to benefit the Hayworth Cancer Center at Wake Forest Health High Point Medical Center. The team will also host a "Pink at the Point" night on Saturday, August 24th when High Point takes on the York Revolution. That game will serve as another fundraiser for the Hayworth Cancer Center with specialty jerseys being worn by the players and later auctioned off. You can purchase tickets for that game here!